Can you tell it is knitting weather? I could sit in a comfy sweater and watch movies, while I knit, all day long. Luckily you guys get to benefit front this. I have two new patterns in my Etsy shop. 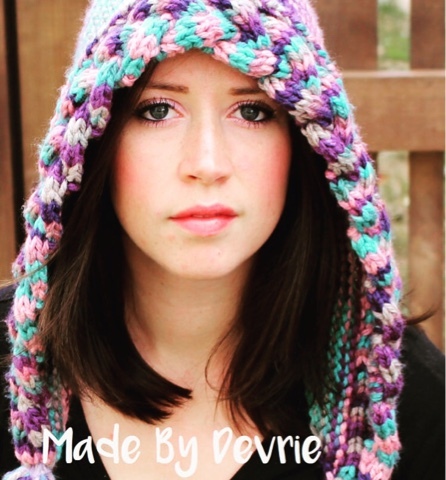 This hat is so much fun to make and it looks great! The pattern includes adult and child sizes. The chunky yarn make it go fast and is perfect for those beginners ready to try cables. Cowls are a great piece to have in the fall and winter months. They are so verso tall and compliment any wardrobe. 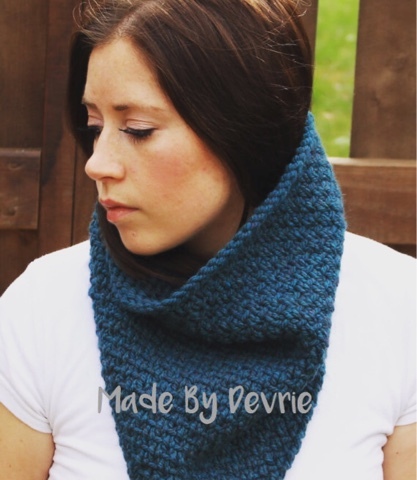 This cowl is another great pattern for a beginner knitter. It is reversible and will be a quick knit. Go buy yourself these patterns and start knitting them for yourself or friends and family. They would make excellent Christmas gifts!